Now you can take just one more turn to go, on both Switch and iOS. 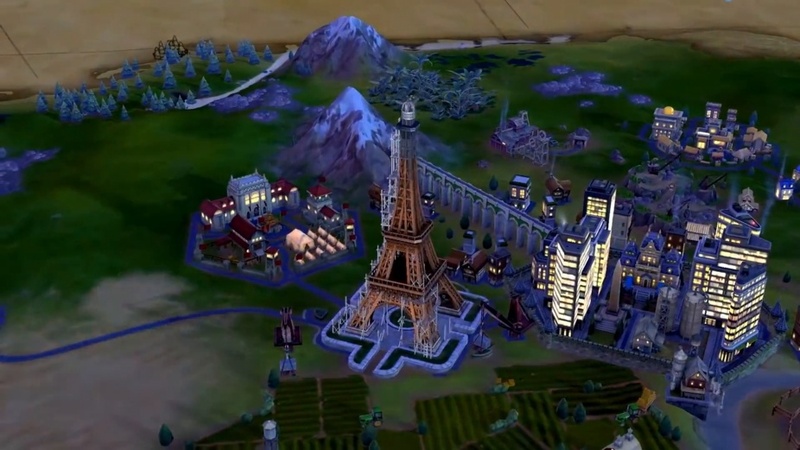 Civilization VI has been out on PC since 2016, and since then it has been updated with the Rise & Fall expansion - let's get it out of the way right now, for some reason this more recent content isn't included in the portable versions of the game - and there's an extremely interesting update on the horizon called Gathering Storm. Firaxis has been beavering away at its flagship franchise non-stop, and so Aspyr Media has been handed the reins and tasked with bringing this epic strategy game to touchscreen devices. Earlier this year it landed on iPad, this autumn it hit iPhone, and then this month we got another version of the game on Nintendo Switch. 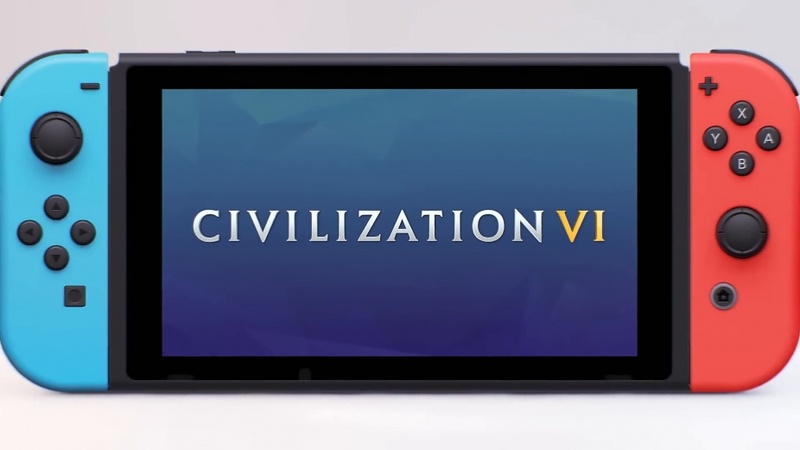 We'll not delve into the nitty-gritty of Civ VI as we've already done that here, rather we'll focus on the functionality of Firaxis's game now that it has landed on these new platforms and can be played via both the touchscreen and, for the first time since Civilization Revolution hit last-gen consoles, on a traditional controller. Let's start chronologically and work our way through the timeline because the iOS versions are worth taking a look at too, even if the Switch release is the main reason we're here. We took a look at the iPad version after we were invited to look at the game on iPhone, but then we found out that the game was coming to Switch so we thought we'd kill three birds with one stone. We tested on an iPhone 7s and this year's standard iPad, and while the load times (both in terms of booting up the game and then between turns) feel a little lengthier than they do on a capable gaming PC, you're not left waiting too long before you can return to your tinkering. Obviously, playing on the screen of a standard iPhone means a lot of reading small text, and if you've not got the best eyesight then we can't recommend you play this version. Across both versions, the touchscreen controls are rather intuitive, and while there are some quirks to learn, you'll be moving your units around and building up your cities in no time at all. Of course, it can get a little pokey playing on a small screen, but despite that, we didn't press the wrong buttons very often. From time to time we'd send a unit to the wrong location and that was quite annoying, but by and large our experience on mobile was fine, and this truly is a grand strategy experience that fits in your pocket. Despite being fully-featured and as deep as an abyss, the only thing that's left to comment on is the price. Fair play to 2K, the company has positioned the iOS version in-line with its PC brethren (or thereabouts) via its £20 price point - there are no favourites here - but that's pretty expensive in the mobile space and you can pick up a bunch of games for the same amount. If you want to add all of the DLC then you're looking at an even biggest investment. It's actually a bit more expensive on the Switch, which makes it a shame that Rise & Fall isn't included. That essentially means that this an incomplete port of a two-year-old strategy game. Good thing it's a cracking strategy game, then. That said, it's not flawless, and the occasional AI brain-fart will have you smashed by an early wave of barbarians out of nowhere, or will have nearby civs declare war on you for no reason whatsoever. In terms of how we played, we spent a lot of time using a controller on the big screen and that worked just fine. The Pro Controller is certainly more comfortable than playing with the Joy-Cons, but the main take-home is that it doesn't take too long to get to grips with and everything has been mapped coherently. In handheld mode, we used a mixture of Joy-Con button presses and touch controls, and it worked pretty well. Gripping the unit in-hand at first felt suboptimal, but once we'd got the knack of switching quickly between touch controls and using the buttons either side of the screen, we were navigating our way through the menus in double quick time, zooming in with the triggers, tapping buttons and on-screen icons, and all told we thought that the adaptation to touchscreen devices was handled well. It looks great on the Switch too, and this version stays largely true to the PC original. Thanks to some excellent overall design it's pretty easy to see what's going on around you, and while it's unavoidably text-heavy, the UI is colourful, classy, and well-organised. Simply put, it plays just as well on the big screen as it does in handheld, and while it looks and performs best on a desktop monitor powered by a capable graphics card and CPU, the distance between that experience and this one isn't so wide that we're going to be critical especially when considering the added benefit afforded by the mobility of this version. We've already moaned about the lack of the recent expansion, but there is still quite a lot here for players to get their teeth stuck into on Switch. You can jump straight into a game with a random civ, although we always prefer to adjust our options a little and create our own. If you're looking to get outside of your comfort zone there are scenarios to play (usually) over a set period of turns, and these nearly all have different civs to play as too. All told there are 24 included in the box, and given how differently they affect your decision making (if you want to play to their different strengths, of course) that's a whole heap of gameplay variety there to explore. Comparisons between the versions aside, the bottom line is this: Civilization VI is a great strategy game and Aspyr has done a decent job of porting it over to two new platforms, with well-implemented touch controls and decent optimisation. It might not be the best version of the game, it doesn't have the new Rise & Fall expansion, and it's quite pricey. Despite all that, if you're after a deep and engaging strategy experience on Nintendo's console, you won't find anything better than this. Looks and plays great, lots of depth, touch controls are well-implemented. Not all DLC is available (which makes it quite expensive all things considered), some AI niggles persist.